Zinier is purpose-built to drive efficiency across your organization. Our field service automation platform uses the latest in AI to help you deliver smarter, touchless field service. Whether it’s intelligently matching technicians to jobs based on skills and proximity, monitoring a growing network of connected devices, or looking at historical data to identify – and resolve – problems before they occur, we supercharge your ability to do more with less. 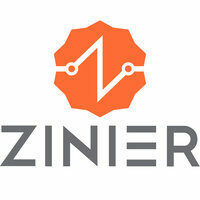 For more information, visit https://www.zinier.com.